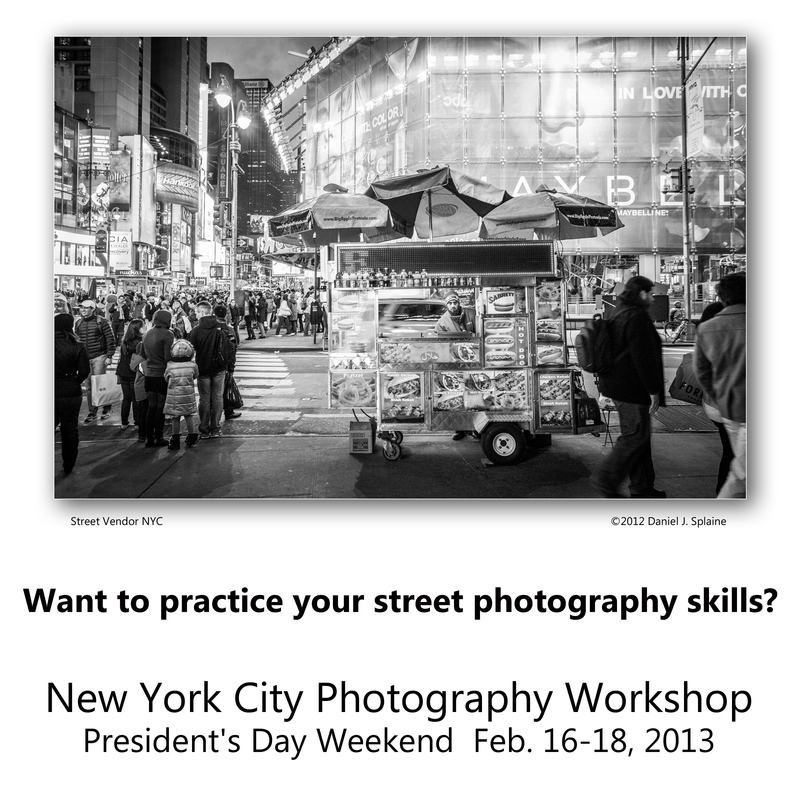 Registration is now open for the New York City Photographer Tour on President’s Day Weekend. Join Photographer Dan Splaine and NH TOURS for this 2 night , 3 day excursion from New Hampshire to New York City. Explore the city, with your camera and learn new night photography and street photo techniques. The best part is we do all the driving! This package includes round trip bus from NH and two nights hotel in Times Square. We will spent the weekend in the heart of Manhattan , taking in the sites and making some images of the urban landscape. For complete details and registration CLICK HERE. This photographer tour is one of a program of photography education events presented by Test of Time Photography. We offer workshops in our Nashua, NH studio and at locations throughout New England. We partner with NH TOURS for all of our travel events and destination photo workshops. For more information contact us at info@testoftimephoto.com or sign up for our email list (see sidebar).